Many people wonder if they need a visa for Hong Kong, as they are confused about the difference between Hong Kong and China. In reality, the Hong Kong visa system is almost exactly the same as under British rule ten years ago, and, thanks to the One Country Two Systems model, wholly separate to the Chinese visa system. 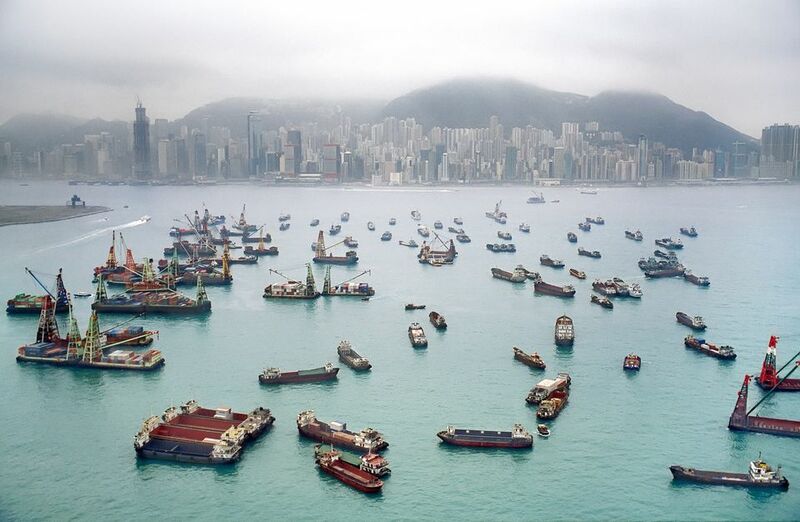 Hong Kong treasures its place as an international hub of business, and top tourist destination. As such, it strives to make visa regulations as relaxed and simple as possible. Who Qualifies for Visa-Free Entry to Hong Kong? Hong Kong is one of the easiest countries to enter: citizens of about 170 countries and territories do not need a visa to enter, receiving entry passes that can last from seven to 180 days. Nationals of the United States, Europe, Australia, Canada and New Zealand don’t require a visa to enter Hong Kong for stays of 90 days, and six months for United Kingdom nationals. India passport holders do not need to apply for a visa and are allowed stays of 14 days, but they must complete pre-arrival registration via an online form (Pre-arrival Registration for Indian Nationals – GovHK) before they can use the visa-free privilege. Citizens of some former Soviet republics; assorted African, South American and Asian nations; and some countries from Africa must apply for a visa before entering Hong Kong. The list includes (but is not limited to): Afghanistan, Armenia, Bangladesh, Cambodia, Iran, Libya, Panama, Senegal, Tajikistan, and Vietnam. You will need at least six months' validity on your passport. For a list of requirements for all countries, see the Hong Kong Immigration Department website. Immigration officials in HK all speak English and the whole process is designed to be as painless as possible, which it is. You will need to fill out an entry card on arrival, usually handed out on the plane. The entry card is given to immigration control, who will hand you back the carbon copy. This should be kept until you leave Hong Kong, as it needs to be given to immigration control, although if lost, you will simply need to fill out a new one. Hong Kong officially states that you need a return ticket to visit the city, although in practice this is almost never enforced. Stating your intention to travel onwards to China is proof enough. If your passport fails to qualify you for visa-free entry, proceed to the nearest Chinese embassy or consulate to apply for a Hong Kong visa. You can also send your visa application directly to the Hong Kong Immigration Department, either by mail or through a local sponsor. Send a completed visa application (ID 1003A; ID 1003B to be filled out by a sponsor) to the Receipt and Despatch Unit, Immigration Department, 2/F, Immigration Tower, 7 Gloucester Road, Wan Chai, Hong Kong. Expect to wait up to four weeks for your visa application to be processed. Once your visa is approved, you must pay a visa approval fee of HKD190. Because Hong Kong has a separate visa policy from Mainland China's, any visitor intending to go onward to Mainland China must apply for a separate Chinese visa. Hong Kong Immigration permits visitors to make an extension of their stay within seven days of their visas expiring. To extend your visa, first download and complete Form ID 91 (Application for an Extension of Stay) from the official website. The completed form must be submitted together with relevant travel documents, and evidence to support your request for an extension (a ticket with a departure date; proof of sufficient funds to sustain your extended stay). Submit your application and documents to the Extension Section of the Immigration Department: 5/F, Immigration Tower, 7 Gloucester Road, Wan Chai, Hong Kong (location on Google Maps). The Extension section is open from 8:45am to 4:30pm on weekdays, 9am-11:30am on Saturdays. Once your visa extension is approved, you must pay a fee of HKD190. Complete details—as well as alternative Immigration Branch offices to visit—can be found at their official site. Workaround: Although we certainly don’t advocate evading immigration controls for work purpose, if you need more than ninety days in the city, you can easily leave to Macau for the day and receive a further ninety days on your return. As a major Asian business center, Hong Kong offers many different kinds of visas for different kinds of visitors. Visit Visas are intended for tourists and other short-term visitors to Hong Kong. All the rules listed above are intended for tourists seeking visit visas. Employment visas—Hong Kong's many different flavors of work visas cover every job from CEO to housemaid. Visitors looking for work in Hong Kong must first gain a sponsoring employer to help with the application process. Sponsors must prove that you have the skills they need and that a local can't fill the position you seek. Specialized employment visas include domestic help visas for household help; training visas for visitors looking for instruction they can't get back home; and investment visas for people seeking to set up a business in the area. Student visas—These work just like employment visas, except the school sponsors the student and not an employer. Dependent visas—Visitors with valid work visas can apply to bring spouses and dependents under 18 years of age. Their stay depends on the main breadwinner's visa status: they have to leave with him/her when their visa runs out, too.